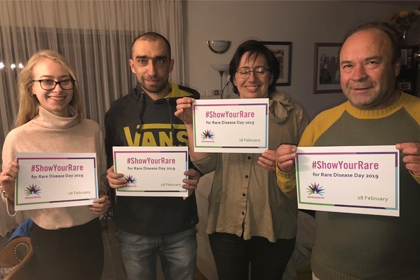 Karlo, 30 years old, and his younger sister are the stars of one of the upcoming Rare Disease Day 2019 videos. He is from Zagreb, Croatia and is living with the rare disease neurofibromatosis type 1. The disease is characterised by changes in skin colouring and the growth of tumours (both benign and malignant) along the nerves in the skin, brain and other parts of the body. Neurofibromatosis type 1 affects 1-5 in 10, 000 people worldwide. In Karlo’s case the continual growth of tumours has greatly impacted his life, but over time he has learnt to appreciate and enjoy life more every day. From a young age, Karlo’s disease had an effect on medical and social aspects of his life. He faced teasing and bullying as early as primary school, which also impacted his concentration. Following primary school, Karlo underwent his first major operation due to a tumour that had grown in his groin and causing pain in his leg. High school was a better experience, but despite making personal progress the continual growth of tumours had a big impact on his life. He faced many challenges in looking for work following school; often after explaining his health condition at interviews it became evident that employers did not want to hire someone who was likely to be absent. Following one of Karlo’s major surgeries, he realised that ‘life is precious and short’ and decided to become more active. 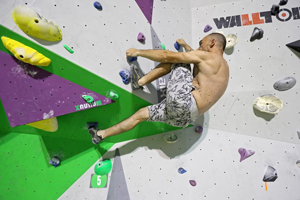 He started with climbing, but has gone on to running and cycling and now exercises every day. Even though it is still demoralising for him to lose his physical fitness in post-surgery recovery, he has found that since he has started doing sport, his surgeries have gone better than in the past. One of Karlo’s hobbies is making furniture such as lamps and tables from recycled car parts. His craftsmanship has helped him to secure a job working for a company that does laser marking and manufacturing. It wasn’t an easy path to finding employment for Karlo, but he is happy to have been able to combine his job with one of his passions. He used to find it difficult to talk about his diagnosis and avoided the subject. His family have played an important role in supporting him through the difficulties of living with a rare disease. His sister Ida, who also features in the video, is currently studying to become a social worker so she can make a difference for people affected by a rare disease in her community. 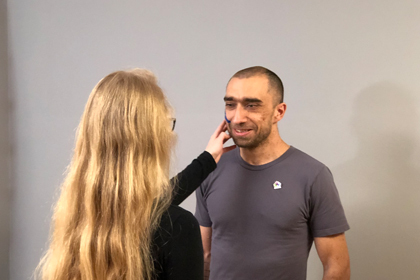 Karlo has also found great support through increased involvement with a patient organisation for neurofibromatosis where has been able to meet others with similar difficulties who share their experiences.